Boy, some people have all the luck! Raffaella D, a California player who had an amazing $100,000 winning streak at Christmas playing the Agent Cash slot at Liberty Slots Casino, recently topped that incredible win with a massive $375,000 payout! 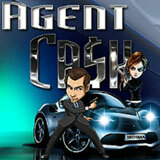 Rafaella's Christmas winning streak was on the Agent Cash game, a classic slot from WGS. She continued playing that game and won $375K in one spin! A Liberty Slots player won $375,000 in one spin on the classic Agent Cash slot from WGS. After her big Christmas win, Raffaella cashed out a lot of her winnings and decided to take on Agent Cash again with the rest. She was playing for the ultimate result: 5x Wild symbols on all 30 pay-lines - a rare, but totally random result. It wasn’t long before Raffaella got her wish. All fifteen symbols came up Wild and with a $10 bet on each line the pay-out was a massive $375,000.00, from a single spin. When asked if she's going to keep playing her response was "Why not? It worked last time!" Mark Ramirez, manager at Liberty Slots is thrilled at the win: "This is very exciting for Rafaella; we're all very happy for her. We always knew Agent Cash had the 'license to thrill' and it certainly stepped up this weekend." Valid until March 31, 2018. 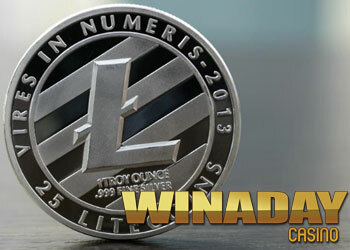 Liberty Slots Casino has a huge selection of unique online casino games from Wager Gaming in its instant-play or download casino and in its mobile casino for smartphones and tablets. One of the biggest benefits of playing at Sloto’Cash Casino is its quarterly players' magazine. 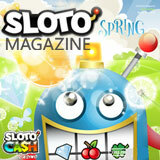 The spring issue of Sloto Magazine is now in the mail to players all over the world. It's bursting with information and advice to help you get the most out of your casino experience. The Spring issue of Sloto Magazine includes a calendar or bonus promotions and bonus coupons valid in March, April and May. Free casino player magazine features game reviews, lifestyle articles, coupons and bonus calendar for Sloto'Cash Casino. In this issue there’s a review of the new Asgard Viking-themed slot from Realtime Gaming. There’s also a review of Sloto’Cash’s new Android app which is designed to help players enjoy their favorite games on their smartphone or tablet. One feature article lets you know which slots are awarding Double Comp Points this spring and another tells which games have been giving the highest RTP (Return to Player) lately. This issue’s Sloto Lifestyle feature looks at three new apps designed to enhance wellbeing. There’s information on slots tournaments throughout the spring and Lucky Spring Horoscopes gives gamblers advice from the stars. You can win a $33 coupon playing the Trivia Contest in this issue. All Sloto’Cash Casino players that have made a deposit within the last semester receive the casino’s free Sloto Magazine by mail quarterly. Register and deposit at slotocash.im to receive the next quarterly issue. 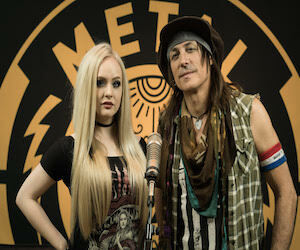 South Africa’s favourite online casino, SpringbokCasino.co.za will be rockin’ and rollin’ on Realtime Gaming’s latest slot release, Ritchie Valens’ La Bamba. Expected to launch mid-March, the new game is themed around the iconic 1950s record, and will have you tapping your feet to the rhythm of the beat while you spin the reels on the 6x3 reel slot that is packed full of features and bonuses. This includes Ritchie Valens acting as an expanding, doubling Wild on reels 2, 3, 4 and 5 in normal games, and counts for all symbols including Scatters. Land four or more Scatters to trigger the Ritchie Valens Free Games feature. Get 20 free spins, with x1, x2 and x3 multipliers on each free game. Trigger the Ritchie Valens Free Games with five Scatters, and more expanding Wilds are added. Six and its all the bonuses from four and five Scatters, plus more Wilds. Ritchie Valens’ La Bamba will launch at Springbok on 14th March 2018 in the download, instant-play and mobile casino..
BestCasinos.com has announced the launch of its new affiliate site which brings a new level of independent assistance to consumers searching for their perfect gaming platform. The BestCasinos site covers all aspects of online casino gaming and impartially helps visitors to choose an operator that suits them based on differentials such as location, needs and expectations. The fully-responsive website is optimised for both mobile and desktop browsers, and gamers will welcome the simplicity of its clean, classy layout. BestCasinos is a guide that objectively reviews and ranks sites in each of the gambling verticals and clearly points visitors to the latest promotions and best bonuses. Johan Larsson of BestCasinos commented, "BestCasinos was developed with the sole purpose of providing casino gamers with a plethora of useful tools specially designed to help them choose online casinos that best suit their needs. 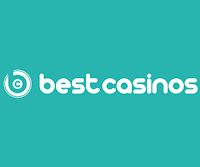 Having performed a detailed analysis of the affiliate market, our team at BestCasinos has initially identified and subsequently incorporated a selection of key features that set BestCasinos.com apart from the competition." BestCasinos.com boasts a committed team of professionals who are motivated to share their knowledge and experience by providing expert reviews on the latest and most popular slot and casino games. Quick facts and clear analysis mean that visitors can instantly determine whether they are interested in a particular site. BestCasinos' determination to forge a reputation for trustworthiness and integrity means gamers can be assured that it will only link to online casinos that are 100% safe and secure. BestCasinos offers daily promotions and bonuses, while visitors can gain a complete understanding of gaming thanks to news and playing tips. 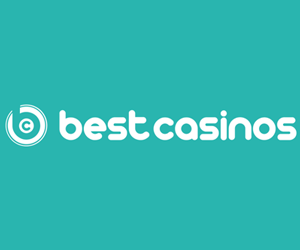 "We at BestCasinos hope that casino enthusiasts from around the world will recognise our efforts and that the site will quickly become their go-to guide for key information about each and every aspect of online casinos. During the coming year, BestCasinos will be looking to gain a firm footing in the affiliate market and to position itself as an authority players can rely on to guide them through a rapidly developing online industry," continued Larsson. This weekend, earn tournament points playing four real-money online slots from Betsoft at Intertops Poker and Juicy Stakes Casino. The ten players with the most points by this Sunday night will win $1000 in prizes. The slot tournament begins February 16 and ends February 18th. You'll earn one point for every spin of $.10 or more on any of the featured games. Betsoft slots are known for their brilliant images and innovative bonus features. The four games featured in this tournament are: Sugar Pop 2, Under the Sea, Kawaii Kitty and Charms and Clovers. True, as the busiest online poker rooms on the Horizon Poker Network, Intertops Poker and Juicy Stakes are best known for poker. But they also offer quite a selection of slots, video poker, table games and wheel games from Lucktap, Worldmatch and Betsoft. Under the Sea takes you to a coral reef teeming with tropical fish. A beautiful Pearl is the Wild symbol which can multiply wins up to 5X. A Sunken Ship is the scatter. It can trigger up to 300 free spins. Treasure Chests start a bonus round with instant prizes. Kawaii Kitty is a 3D game with Expanding Wilds and a chance to double winnings in its Double Up feature. It’s built on Betsoft’s revolutionary Shift platform for quick loading and fast game play. Charms and Clovers brings ancient Irish mythology to life in gorgeous high definition colour. Its unique sixth reel controls four bonus features including a Money Wheel that you spin to win one of three jackpots. 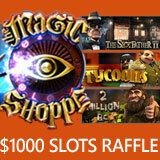 This Betsoft slots tournament will award a total of $1000 in prizes. The player with the most points by Sunday night will win $300. Second prize is $200 and third prize is $150. Tournament prizes must be rolled over at least once on Betsoft games in order to be withdrawn. 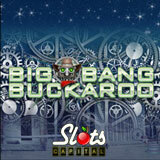 Slots Capital Casino has just added the new Big Bang Buckaroo slot. It's a rootin’ tootin’ new 3-reel slot from Rival Gaming. 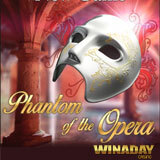 Until the end of February, they'll give you 50 free spins to try it! 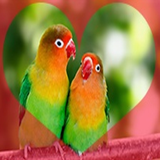 They're also spreading a whole lot of love February 14th - 21st with a series of Valentines casino bonuses. Big Bang Buckaroo is a robotic Wild West three-reel slot game from Rival. Hitting three Bullet Bars or three Triple Lucky Sevens bangs out big wins. The Robot Cowboy Buckaroo symbol is Wild and it’s the Jackpot icon. 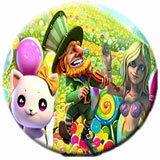 “Saddle up and get ready for one wild ride with this rip snortin’ new three-reel!” exclaimed Slots Lotty. She has more on the new game in her casino blog. Slots Capital Casino has a new new three reel slot game and a series of Valentines casino bonuses. To welcome this new game, Slots Capital is giving all active players 50 free spins. All players that have made a deposit in February will receive this bonus. A series of Valentines casino bonuses at Slots Capital will add extra cash to three consecutive deposits. Slots Capital has dozens of unique slot games from Rival Gaming as well as table games like Blackjack and Roulette. The casino welcomes players from all over the world. Love is in the air at Intertops Poker and Juicy Stakes Casino where they’re hosting a special $500 GTD Valentine’s Day poker tournament and giving 20 free spins on Blood Eternal, a romantic vampire-themed slot game. Unlimited re-entries. 5K starting chips, 12 min blinds, 60 min late registration. Popular online poker rooms are hosting a $500 GTD poker tournament on Valentines Day and giving free spins on their Blood Eternal vampire slot game. “It’s great having unlimited re-entries because it allows you to buy back into the tournament, effectively starting from scratch as if you are a completely new player, given the same starting stack you got when you first entered,” said Intertops poker manager. Intertops Poker and Juicy Stakes are known all over the world for their busy poker rooms on the Horizon Poker Network. They also offer a selection of casino games from Betsoft, Worldmatch and Lucktap. On Valentines Day, they’re giving all active players twenty free spins on one of Betsoft’s most dramatic games. Blood Eternal is a gothic vampire-themed slot game depicting a Twilight-style love story. It’s a six-reel game with generous bonus features. Vampire symbols only appear on reels two and five and humans only appear on three and four. When they land next to each other – when a vampire finds a victim – eight free spins are triggered. During the free spins, the triggering symbols are held in place as Wilds. They can splatter blood on other symbols to turn them Wild as well. You can try to double all or half of any win by flipping a coin in the Double Up feature. 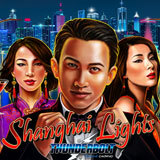 With Chinese New Year just around the corner, Thunderbolt Casino is excited to introduce the glamorous Shanghai Lights, the third new Chinese slot game to be released by Realtime Gaming since Christmas. The South African online casino will give you 20 free spins on the new game until March 7th! Shanghai Lights is a fifty payline game with several bonus features to boost players’ wins. The Wild symbol appears only on the middle reel, but when it does it expands to cover the entire reel creating many more opportunities for winning combinations. South African online casino is celebrating Chinese New Year with new Chinese slot games. Three or more Scatters trigger five free spins. The Wild symbol can appear on the third, fourth or fifth reel during free spins. Free spin wins are doubled when the winning combination includes a Wild. At the end of the five free spins, three Super Spin free games begin. Super Spin wins depend on how many scatter payouts have occurred during the first free spins. Scatter wins can be multiplied up to 5X, Wilds can triple wins, and entire reels can become Wild. Available until 7 March 2018. With more than 24 million people, Shanghai is the biggest city in the world. It’s a global financial center, the world’s busiest container port, and a showpiece for China’s booming economy. It is renowned for its sweet and oily cuisine, its museums and historic buildings, the City God Temple and the Yu Garden. The incredible city’s sophisticated style and vibrant nightlife is reflected in the sleek new game from Realtime Gaming. Thunderbolt recently added two other Chinese slot games: Fu Chi and Fantasy Mission Force. Celebrating the upcoming Year of the Dog, Fu Chi’s Wild symbol is a Lucky Dog that doubles any win it’s part of. Lotus blossoms, money bags and Ancient Chinese calendars spin on its five reels. Inspired by Chinese film legend Jackie Chan, the Fantasy Mission Force slot game has a couple of explosive bonus features to maximize your wins. One of the most popular online casinos in South Africa, Thunderbolt Casino offers hundreds of real money online slots and table games from Realtime Gaming, all played in Rands. Starting tomorrow, Jackpot Capital Casino you'll discover daily Valentines casino bonuses during the One Life, One Love bonus quest. Each day, as you climb the ladder of love, new bonuses are revealed. Every day until Valentines Day, there’ll be up to $1000 deposit bonuses with up to 30 free spins on some of the casino’s most romantic online slots. If you're a VIP player at Jackpot Capital, you'll receive emails with additional free spins with no deposit required. VIP players will get four no deposit free spins offers by email. 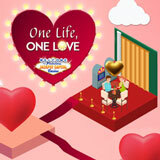 One Life, One Love casino bonuses include up to $1000 deposit bonuses with up to 30 free spins. To discover their daily bonuses, players go to the One Life, One Love page at Jackpot Capital Casino and click on the next step on the ladder. The daily bonus will be revealed and available immediately. The romantic Eternal Love slot game is featured twice during the event. It’s a gothic vampire love story based on movies like Twilight. It has a Wild that can multiply wins up to 3X. Three scatters trigger 10 free spins with up to 100X multiplier. The Extended Life Feature can cause the Life Force feature to multiply the triggering bet by 1000. Jackpot Capital Casino features games from Realtime Gaming in its online casino and mobile casino. Celebrating Chinese New Year this month, three new Chinese-themed games are being added. Fu Chi celebrates the Year of the Dog. The glamorous Shanghai Nights toasts China’s largest city. Fantasy Mission Force is inspired by Chinese film legend Jackie Chan. Another Jackie Chan game, Eagle Shadow Fist, is coming soon. 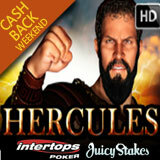 Another Casino Quest begins on Wednesday at Intertops Poker and Juicy Stakes Casino. Recent Casino Quests have rewarded players for designated wins in Blackjack or Roulette. This time it’s video poker players that can win $100 bonuses. The week-long quest begins February 7 and continues until February 13. To win a $100 Casino Quest bonus, you must be dealt two pairs once and also get ten Straights and five Full Houses. A Straight is five non-suited cards in numerical sequence. A Full House is three of a kind with a pair. Video poker players at Intertops Poker and Juicy Stakes Casino win a $100 bonus for hitting designated hands, February 7-13, 2018. Popular all over the world, Intertops Poker and Juicy Stakes have the busiest online poker rooms on the Horizon Poker Network. 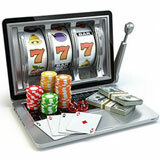 Their selection of slots and table games is becoming increasingly popular.